Edraw OrgChart Creator is een nieuwe, snelle en krachtige software applicatie voor het maken van organogrammen. De eenvoudigste manier voor het maken van professioneel-ogende organogrammen. Edraw OrgChart Creator is het beste Visio alternatief voor studenten, leraren en zakelijke professionals. Organize for efficiency. Visualize for consensus. Strategize for success. 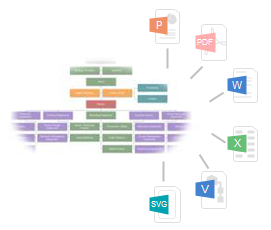 Edraw Org Chart is a powerful but easy-to-use organizational chart software. With this program, it will surely be a piece of cake for both professionals and beginners to create professional-looking basic organizational chart, functional, matrix, divisional and photo organizational chart. From now on, designers will never have to invest countless hours and a large sum of money in drawing organizational charts anymore. 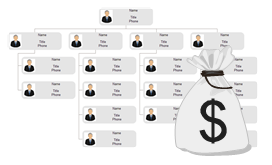 With this feature-rich Org Chart software, you don't need to be an expert to create visually appealing org charts. Simply input your data and Edraw does the rest, aligning all things automatically and applying professional design themes for optimum drawings. 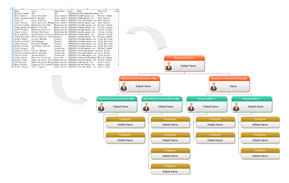 Edraw Organization chart (org chart) is absolutely the fastest way to visualize company structure with simple drag-and-drop functionality, which beats any other application hands down. This software empowers business to easily make informed decision and reach consensus by applying dynamic organizational charts and best-practice analytics to align their organization for success. With various templates and examples, it saves you up to 70% of time. You'll be hard pressed to find a better or cheaper solution. Managers, business professionals, and executive assistants will benefit from the extensive functionalities like automatic chart drawing, custom formatting, compact layouts, and easy editing. 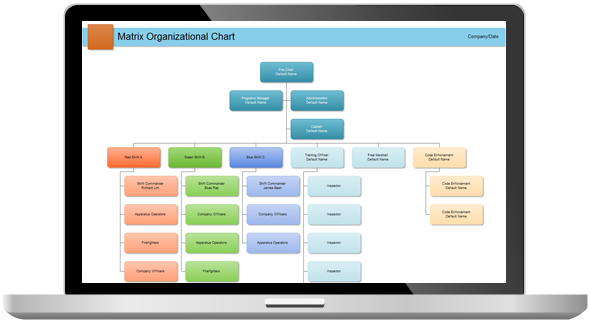 Free organizational chart templates and examples will help create board room quality organization charts efficiently and effectively. 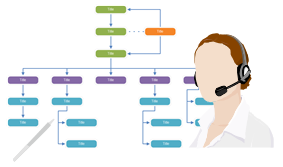 Shapes in org chart display basic information such as name and title, or other details. You can even personalize your charts by setting pictures or adding hyperlinks to make them vibrant and information-rich. Even managers of small companies need lots of time to get familiar with employees, which hinders effective management. By including all employees' pictures in org charts, you can humanize your corporate intranet site, help employees get acquainted ASAP, and even assist far-flung teams to know their co-workers. No one is neglected. 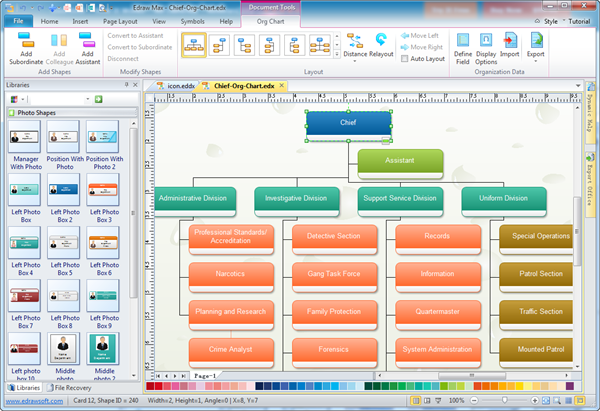 By using improved organization chart shapes, you can easily add pictures. Right-click the shape, then click Replace Photo. Locate the folder that contains the picture you want, and then click the file. Got a question? Email us. Edraw experts are always standing by ready to help, for free! 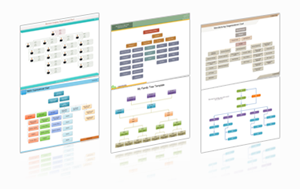 In-depth tutorials are offered to tell you how to develop desired org charts step by step. Added the Fire and Emergency Plan, Wardrobe Elevation templates in the Floor Plan. Added the iPhone UI design, Windows UI design in the Wireframe. Added the Presentaion drawing type. Added the Insert Shape From Library feature for Mind Map drawing type. Added the Flat style symbol and examples. Added the VSDX format import and export feature.